You must be aware of the fact that in this age of high and tough competition, each and every enterprise is demanding work experience in the respective field. This is not only common for the guys already involved in a job but in case of fresher as well. 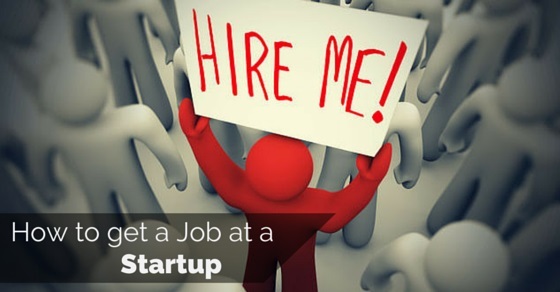 They fail to think that how is it possible to acquire work experience at the startup level. This unnecessary and unusual pressure permits applicants to go through illegal ways of acquiring fake work experience by spending lots of money and time. Even after that they fail to reach their goals. Instead of utilizing their valuable time in revising the lessons, they waste it behind unnecessary tasks. In case you are a pass out fresher and looking for a job, please stop thinking about such useless activities. Instead concentrate in revising the lessons as much as possible and have a high focus. Think to build up a bright career in a legal way so that you can prevent yourself from the clutches of unnecessary fake trials. Recession is not a very justified excuse as it used to exist each and every time. If you are waiting for your friends to finish up with their degrees and thinking of finding a job altogether, then you are approaching towards a risk of losing the best opportunities. You are also in the fear of taking away the job by someone else for which you were fit enough. As you are a fresh pass out guy, you hold a zeal and high level of energy. Hence, you must utilize the same. You may approach the career counselor of your institute to fetch relevant information regarding job openings. Also through detailed discussions, you will come to know about your strength and weaknesses. You will also get verbal tips regarding the designing of your resume. Also, he will be able to advice you about the various types of jobs at fresher level. Do not commit the mistake of missing out career fairs. Whether it is in your institution or some others try your best to attend it. Through these you will be getting a golden opportunity to interact openly with the employers interested to hire fresh pass out students. In case you do not get a suitable buck for you, do not panic. You will be coming to know some of the best ways to deal with the interviewers and get an insight towards the requirements of the potential employers. As you are a fresher, you must go ahead instead of getting introvert. You need to create a good quality resume and upload it on the online job portals. Also you may take references from your seniors. This will enhance your chance of getting called for interviews and opening a door of wide opportunities. Do not forget to maintain an accurate and up to date resume. Many a times applying for the wrong position leads to unemployment problems. Do not refuse the opportunities provided by many companies to the fresher guys to make them learn instead of little payment. Instead of concentrating on payment try to grasp knowledge of working! Who knows that you will not be among the leaders! Networking is considered to be best form of searching and knowing about job opportunities. You may talk freely to your family members and other guys in your neighborhood to acquire the basic idea regarding the approach towards job openings. In case you are fit and qualified enough, then the probability of getting hired will get enhanced. It is a true fact nobody not even you can afford the pain of remaining unemployed for long time. Try to deal with the worst economy in a cool and calm manner to get the most suitable job straight away at the startup level. One day your fortune will definitely shine. No doubt! But it is your earnest duty to contribute towards its shining with the help of presence of mind. As soon as you get a call for interview, it will be one of the glorious moments of your life. Now the second step comprises of winning the job position by creating a good impression in order to convince the hiring manager. Until you desire heartily to join the company, never commit the mistake of questioning the activities done by this company. It reflects the impression of your being non-enthusiastic regarding the job offer. It will be better to go for proper R&D before coming for the interview to prevent blank information. It is considered to be unethical to question about the salary figure to be awarded to you. It will be relevant and justified to ask in case of getting hired and while negotiation. In case you put up query regarding the working hours to be devoted by you, it will last an impression of a lazy guy on you. As a result you may remain failure even after being successful from all sides. Instead try to put up subtle questions regarding typical work day in the respective field. In the similar manner, do not put up any query regarding vacation on day one of meeting. This question may make you sound irresponsible and reduce your chances of getting hired. Do not sound very much impatient to the employer. Instead try to hold your horses and wait for further assistance. It is considered to be unethical to ask an employer about the status of your hiring in any round. Wait and watch till the last!